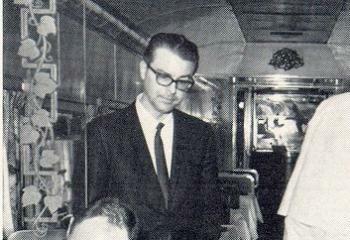 David Harriton, a master of glazing, was the artist selected to work with the train's glass. 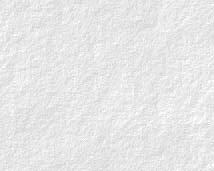 His resume includes the windows in the ceiling of the House and Senate Chambers of the US Capitol. 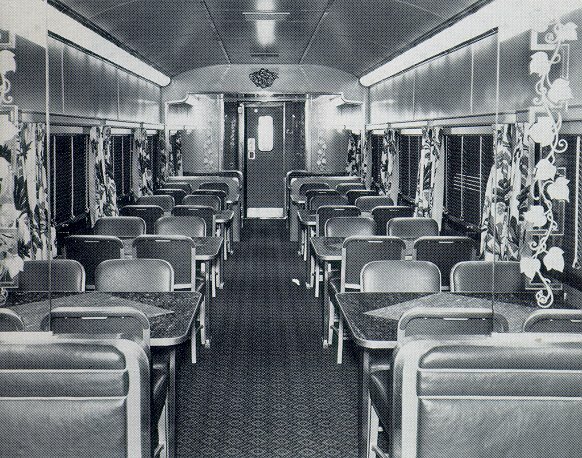 For the dining car, he created the glass panels with grape leaves and tendrils which separated the "nooks" from the rest of the dining area, as well as the mirrors behind the Steward's podium which were etched with herons and other birds. 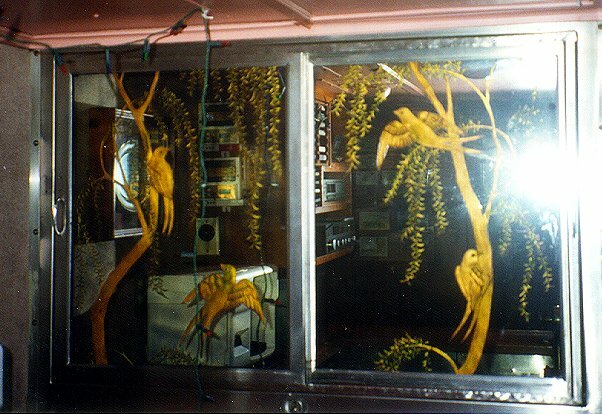 The avian theme was continued in the mirrors behind the bars of the buffet and observation cars, where herons and swallows took crystal flight. 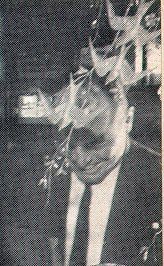 These two photos are from the July-August 1967 issue of WP's Mileposts, from an article on a surprise health inspection of the Silver Platter (which resulted in a Grade A rating, no less). Left photo: a glass divider panel on the left, and the mirror behind the Steward's podium in the right background. Right photo: detail of the podium mirror. 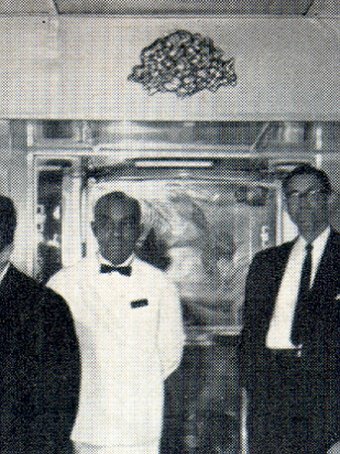 Detail photo of the forward left etched panel in the diner. This is from a builder's photo of the car interior (click here to see the whole photo).